A radio announcer and the director of a radio station in the Dominican Republic were killed on the morning of Feb. 14 in the city of San Pedro de Macorís. According to EFE, an armed man entered the location and began firing several times. However, local media pointed out that there could have been two male attackers. A Facebook Live video posted to a page that appears to belong to Luis Manuel Medina apparently shows the last minutes of the journalist’s life . The announcer was broadcasting his program Milenio Caliente when noises that seem to be shots can be heard. A few seconds later the voice of a person shouting “shots, shots, shots!” can be heard, and then the transmission is cut. In addition to the Milenio Caliente program, Medina was also part of the team of sports journalists who covered baseball, according to a former mayor in the city, as published by El Caribe newspaper. 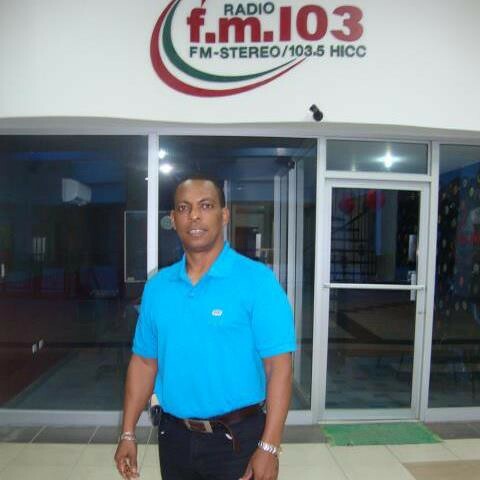 The Dominican Association of Journalists (CDP) reported that the attack also killed Leo Martínez, director of FM 103, who approached the booth upon hearing the shots. At that point, the attacker shot him, CDP added. Both Martínez and Medina died at the scene. The secretary of the station was also injured during the shooting, but was later transferred to a clinic, CDP added. Olivo de León, president of CDP, condemned the crime and called on authorities “to make all necessary effort to find the whereabouts of the murdered, bring him to justice and apply the full weight of the law,” according to a release published on Facebook. The motives of the crime have not been determined, according to site Acento. The Inter American Press Association (IAPA) condemned the crime and lamented “the tragedy surrounding the Dominican Republic journalistic family,” according to a press release.